The run of recent six-figure auction sums in the English regions now includes Cheffins posting a house record in Cambridge. 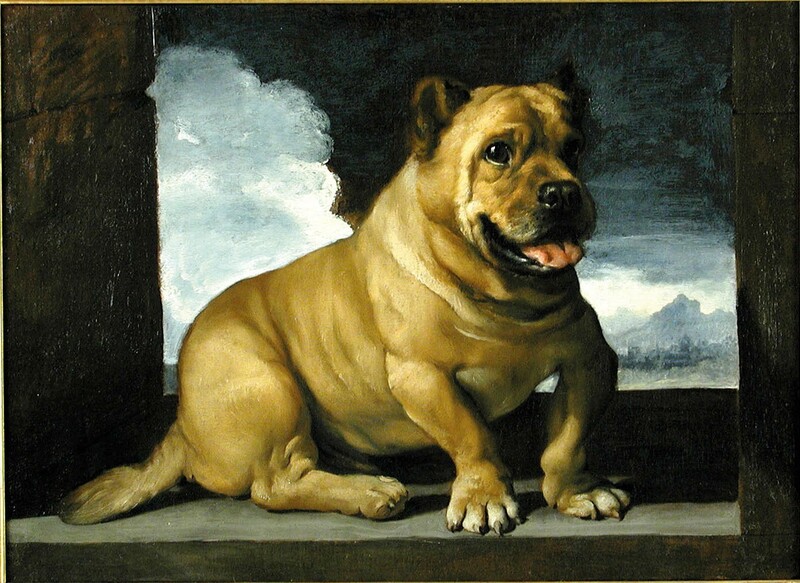 'Study of an Italian Cane Corso' by il Guercino. A previously unrecorded canine portrait by the Italian Old Master Giovanni Francesco Barbieri, known as il Guercino (1591-1666), drew a dramatic bidding contest on March 8. Surpassing a £80,000-120,000 estimate, it was knocked down to a phone bidder at £570,000. The 22in x 2ft 6in (56 x 76cm) oil on canvas is only the second known portrait of a dog by the Bolognese painter. The auctioneers told ATG that the dog depicted could well have been the artist’s own pet. It came to auction from a Suffolk country house, having been bought by the vendor’s great-grandfather in Rome in 1850. The attribution to il Guercino was endorsed by Dr Nicholas Turner, an authority on the artist’s work, and by John Somerville, senior curator of the Lobkowicz Collection, Prague. It surpassed the £450,000 taken at Cheffins in 2004 for a pair of marble figures by Sir Henry Cheere.